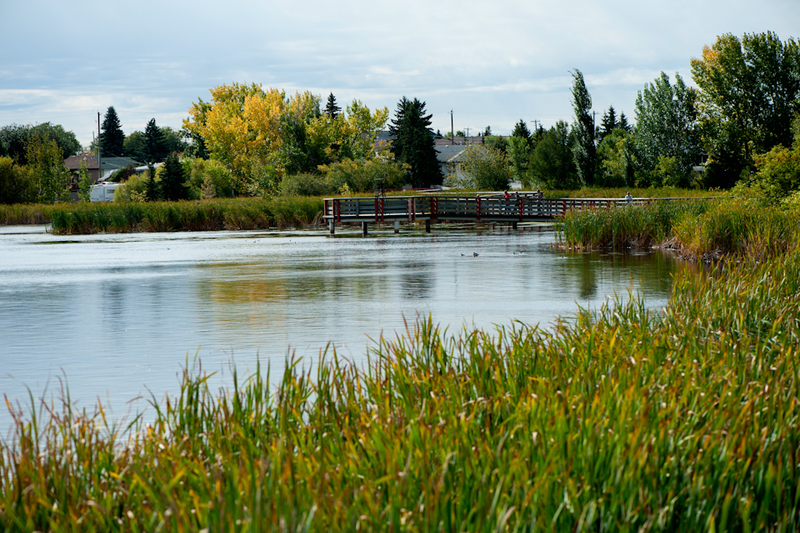 Leduc is a friendly city with strong community ties and a deep connection with nature. If you're new to the city, Ayre & Oxford invites you to explore the many nature features and fun attractions throughout the city. Nature flourishes in Leduc! There are seven different parks that surround our Grace Manor building, including Alexandra Park featuring two playgrounds, a large pond, and plenty of green space to enjoy. The city also has an extensive year-round trail system, great for walking, biking, jogging, or even cross-country skiing. Telford Lake is situated in the heart of the city and is a popular local attraction for bird watchers, watersport lovers and nature enthusiasts. It's connected to the Multiway Trail System and is a great source of pride for residents of Leduc! During the summer months, staying cool is easy when you live a short walk from the Alexandra Outdoor Pool and spray park! Plan to take an aqua fitness class, swimming lessons, or enjoy a swim with the family just minutes from home. Other recreational activities nearby include the Leduc Recreation Centre, Apple Fitness Centre, and the Mix Family Aquatic Centre. Find the unexpected while shopping in Leduc. Walk along 50th Avenue and shop the local retailers or head to City Centre Mall or Millwoods Town Centre Mall just a short drive from home. There are also grocery stores and butchers nearby. Causal restaurants can be found throughout the city and serve a variety of cuisine to suit any taste. Try Ryan's Drive In for homemade comfort foods or Habaneros Mexican Grill for a delicious meal with a personal touch. Additionally, Leduc Coffee Shop serves great food and drinks in a warm & welcoming environment. This city also has some unique year-round attractions. Leduc #1 Energy Discovery Centre is celebrating their 70th anniversary with a party October 13th. Interact with the museum's exhibits and see history come alive on a guided or self-guided tour. Other historic attractions include the Leduc Grain Elevator, Stone Barn Garden, and Dr. Woods House Museum. You'll also find the Leduc Public Library and Maclab Centre for Performing Arts just minutes from home. Leduc is a friendly city with opportunities for all. If you are looking to re-locate, view our apartments at Grace Manor today! *Photo courtesy of City of Leduc website.